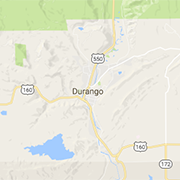 Looking for a great pizza in Durango? Look no more! You'll find some of the best pizza restaurants and pizzerias in town right here. Delivery, wood oven, Chicago style, New York style, calzones, take and bake, buffets and more. Conveniently located in the Town Plaza in Durango, Papa Murphy's Take 'n' Bake Pizza is the freshest pizza in Durango.